Welcome to our Stamp of the Month Blog Hop! 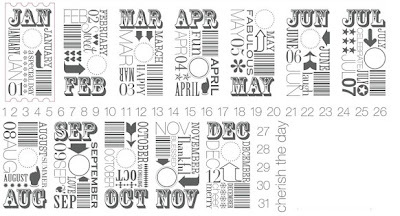 We will be featuring November's SOTM, Cherish the Day, a set of 44 stamps. 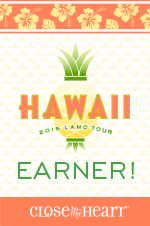 If you have come here from TRACI GODBEE'S BLOG you are on the right path! The blog hop is a great big circle, so you can start here and work your way all around. If you get lost along the way, you’ll find the complete list of participating consultants here. For a long time I wanted to create a Event Calendar. I've got so many birthday's to keep up with, I kept losing track of who's birthday was when! I think I sent someone even got a Birthday card two months in a row! Several months ago I ordered our Event Calendar (Z126) but never got around to decorating the pages. Each page has a 3 1/2 x 3 1/2 square that you create something for. There are only 12 so how hard can it be?! I'd sit down to start it and just get stumped! When I saw the November stamp of the month, I decided that I would use that stamp and my scraps! You will see on each page I used a shape from our Art Philosophy cartridge. To the left is the January page. Each page is numbered with the number of days and I'll just write in the dates to remember on the appropriate line. This calendar can be used year after year. Following are pictures of each month before I adhered them to the pages. This was a fun way to use some scraps and also to try out the different shapes on the Art Philosophy cartridge! Remember, you can ONLY get it during the Month of November! 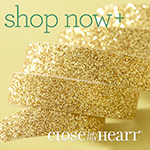 It is just $5.00 when you purchase $50 in Close To My Heart Products That is a great discount off of the retail price of $17.95. Contact me to order yours today! Be sure to check out the November Special too for another great $5 stamp! Now keep on Hoppin' and see more great artwork from our Close To My Heart Consultants'. 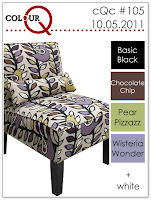 Continue on to Debra Van Patten's Blog to see what she has created for you! I'll be taking a few days off this week from posting. 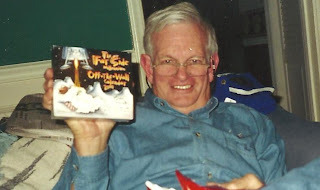 Yesterday, my Father In Law passed away. Clark was an amazing man. Although he was my husband's step-father he was more like a father to him. He taught him to hunt and fish at a young age. Even after my husband and I got married and moved away, Jeff would travel back to Kentucky to go hunting with him every year around Thanksgiving. When my girls were old enough, they would go spend a week in Kentucky with Nana and Daddy Clark (as all the grandchildren called him). A trip to Red's Donuts during their stay was a highlight of their week. 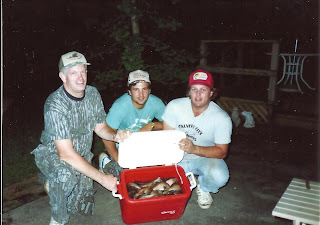 Sometimes he would get them up early in the morning to take them fishing. He would do just about anything for those girls. Clark was an avid Kentucky Basketball fan. You rarely saw him wearing something other than Blue & White with Kentucky on it somewhere. His favorite thing to do was tell jokes. No one was a stranger if there was a joke to tell. Sometimes he would call up just to tell us a funny joke he just heard that day. He loved The Far Side and looked forward to the new Far Side calendar each year at Christmas. Nana and Daddy Clark spent many Christmas Eve's with us. They loved to come and watch the girls open their presents. We'd pass the presents out and Daddy Clark would pile up all his presents by his chair. We'd take turns opening. But it never failed, when everyone was finished unwrapping, he'd say "Well looky here! I've got another one to open". He wanted to make sure he had the last present to open. Christmas cookies were his favorite. I always made a special Christmas tin of cookies just for him. He'd pour himself a tall glass of milk and eat the cookies. Clark loved to work with wood. He spent many hours out in his garage building things. Wooden pull toys, froggy steps for the bathroom and more. He built a toy box for my daughter when she was born. He built a big Blue & White UK box for our window. It had Blue and White bulbs in the shape of a U and K. He wanted to make sure everyone here in big VOL country knew which side we were on! 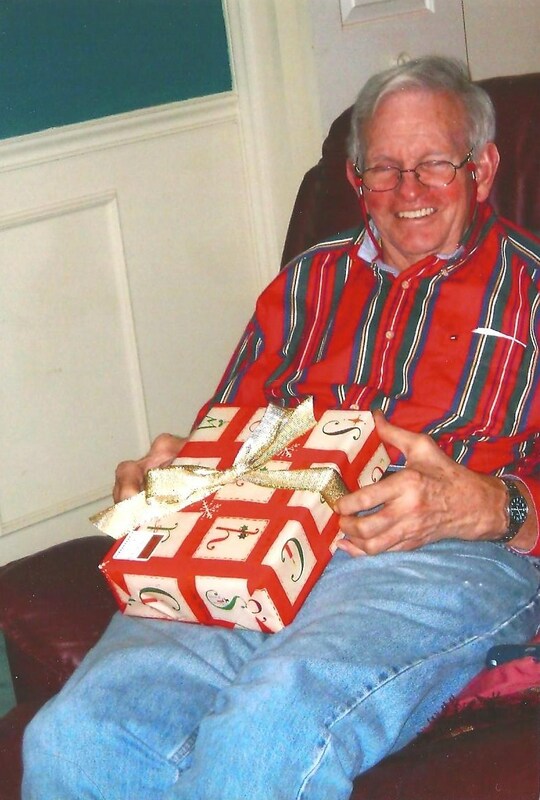 Several years ago, Clark was diagnosed with Parkinson's. He did not let that get him down. Clark was a dentist and he practiced as long as possible and then retired. But he continued to hunt and fish every chance he got. Sometimes a hunting buddy would come over and help him get ready. It might take him hours to get all his hunting clothes on but he was determined not let his disease stop him from doing what he loved. He had many friends that made sure he was able to keep going as long as possible. Through it all, Clark's faith in God stayed strong. Although I know Clark is in a better place now, we'll all miss him very much. I know that he walked straight and tall with steady hands to the gates of Heaven. And you can bet he had a joke ready for Peter when he let him in. God Bless You Daddy Clark - You'll forever be in our hearts. 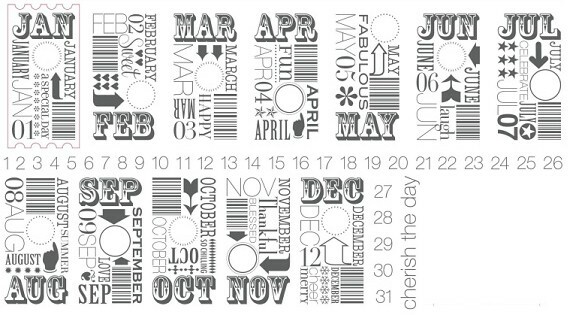 NOTE: I do have my Stamp of the Month Blog Hop scheduled to post on Nov 1 so be sure to check back then. Here is a MUST ahve stamp for the holidays! This stamp is an exclusive and can only be purchased now THROUGH November 30th! Imagine all the beautiful cards you can make with this set! When you place a minimum order of $25 in My Acrylix® stamp sets now through November, you can purchase a new D-size Holiday Wishes stamp set for only $5! That’s significant savings off the full retail value of $17.95. And here’s a bonus: many of the images in the set coordinate with our Cricut® Art Philosophy cartridge for added cutting and stamping fun! I can't wait to get this set. I placed my order first thing this morning so be watching - I'll be posting artwork with it as soon as I get it! or call me to place your order! My next scrapbooking workshop is coming up in November and I thought I would share what we'll be doing. We'll be creating this 2 page layout from the Believe Workshop on the Go. Look how young my girls are! Wow does time ever fly by. 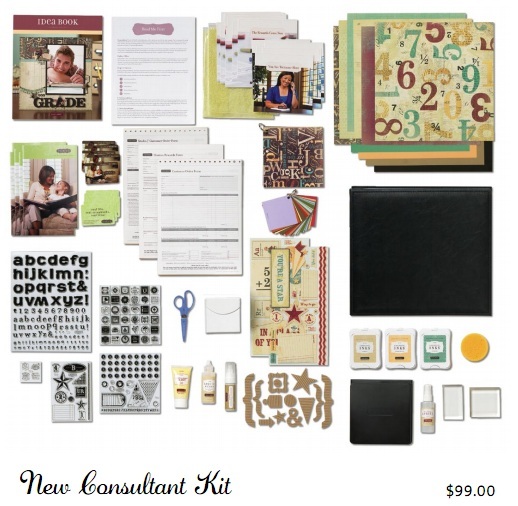 This kit INCLUDES a Believe Level 2 paper pack, Dimensional Element Stars, Olive Mini Medley Accents, Believe C-size stamp and a full color Instruction Guide. I added a Holiday Pocket to my layout for Journaling. Isn't it cute! I also used the new E-size alphabet stamp Trinity with this layout. Trinity has 3 different sizes of Alphabet. What a great deal for $29.95! See the stamp set HERE. I altered the layout a little bit from the instructions. Instead of using Holiday Red Cardstock as my base pages, I used White Daisy. I cut three 5x7 pieces of the Holiday Red CS to mat my 4x6 pictures. The layout called for 5x7 pictures but I was too lazy to make mine bigger. I think it actually turned out alright! Stay tuned! I'll share a few cards I made with some of my leftover paper and cardstock! If you'd like to do this workshop with me, check out my Upcoming Workshops Page for Details! Here is Card #3 in my Sonoma Card box series! I used this week's sketch by Julee Tilman over at Mojo Monday. Here's another card for my Grandma's card box! Rather than making the cards all in one sitting, I'm making them as I come across sketches that I like. This Sonoma paper is really pretty and I want each card to be special. I came across this sketch over at cardabilities. I dug out some of my retired paper flowers for this card. I thought the purple matched well with the Sonoma paper. I used the <Rctngle7> image at 2 1/2" and the <Rctngle7 Layer> at 2 1/4" from the Art Philosophy cartridge for my sentiment. The 'ribbon' is actually the zip strip cut from the Sonoma Paper. Here is the sketch I used from cardabilties. Be sure to check out the other artwork there. If you missed Card #1 for Grandma's Card Box you can see it Here. To see my Sonoma Card Box, this LINK will take you there. I found another great sketch today so I'll be working on Card #3 tonight! This weekend I made two Sweet 16 Birthday cards. Yesterday I posted the card I made for my niece. Today, I'm posting the 2nd one which is for my nephew. For this card I used Margaret Moody's sketch over at Pals Paper Arts. This sketch was perfect for my plaid paper I chose. The paper is from the same kit as the card I made yesterday - Roxie (X7140B). But this time I used the plaid with Black Textured Cardstock and Desert Sand Cardstock. I added twill ribbon and wooden buttons (Z1387) for a masculine look. The "16" was cut with the Art Philosophy cartridge. I used the Say It With Style stamp set (D1283) for "Happy Birthday". If you missed my Sweet 16 card for my niece you can see it HERE. I hope my nephew doesn't mind a handmade card by aunt. I've got SEVERAL birthday's in my family next month. My daughter turns 17, but right behind her is my niece and my nephew who are both turning 16! It has been fun seeing them grow up together. It's hard to believe they are teenagers now. Each year at Thanksgiving, when our families gather together, we celebrate their birthdays. My niece's birthday is actually on Thanksgiving Day this year. Two challenges this week helped me get my niece's birthday card made early! 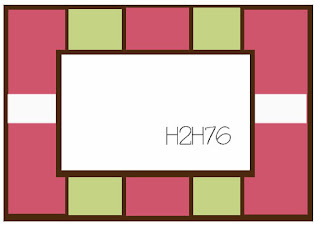 First, the Heart 2 Heart (H2H) Challenge was to create a card using numbers. Then I found a great sketch over at Tuesday Morning Sketches by Theresa Winslow that I used for the card. Ok! Got to go make more Birthday cards! What do 16 year old BOYS like? 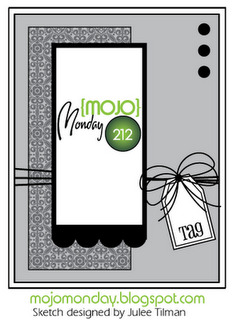 This week's Mojo Monday sketch by Julee Tilman is perfect for Close To My Heart's Sonoma paper. I needed to start my set of cards for my Sonoma Card Box I made and I used this sketch for card #1! If you missed my post about my card box which won the Sonoma Cricut Category for Make If From The Heart you can see it here. I added Petal Ink to the large paper butterfly and the darker Smokey Plum to the small butterfly. I used the Art Philosophy Cricut Cartridge to cut the frame for the sentiment. And, because it was handy, I cut the circle frame with my 2" scallop punch. To add a little texture to the Bamboo sentiment piece I used the black texture tool to daub a bit of cocoa specks to it. See below for entire Recipe. Hi all! I haven't had a chance to create anything to share since I got home from my trip on Sunday. 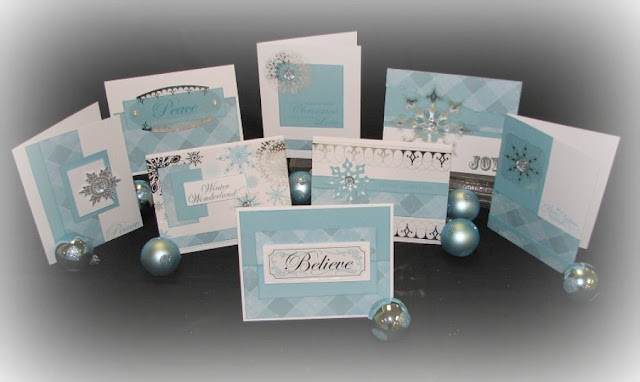 So, I thought I would share this CTMH video that shows you how to create several Christmas Cards with our Die-Cut Cards and Envelopes. These cards are beautiful! Watch this short video for details! I wanted to share my cards that we will be doing in my Annual Christmas Card Workshop in November. Usually I send out an email letting all my customers know about the workshop and provide them an opportunity to sign up. I offer 2 different dates in November for the workshop. This year, I had my cards displayed at my Open House in August along with a sign up sheet. To my surprise, the workshop nearly filled up at my Open House. After that, within a few weeks every slot was taken. We will be making 8 cards - each card a different design. I chose the Wonderland paper with Crystal Blue Cardstock. We will be using the new Top Coats Icing Overlays. 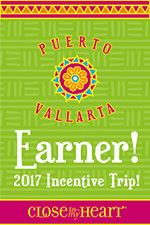 Each overlay has a unique design with foil accents. To add extra sparkle, we will be adding bling buttons! 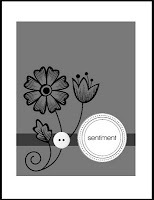 Many of the sentiments will be silver embossed. This may be a new technique for many of the class participants. I think they will really like this technique. Following are individual pictures of each card for a closer view. Recently, it was announced that my 2nd Upline, Tina Sutton, was promoted to Presidential Director with Close To My Heart. This is the highest honor you can achieve. Tina along with 3 other ladies are the first ever to achieve this title. Tina is so inspiring. I've never met anyone with so much energy. She loves to share her ideas and strives to help those that want to grow their business too! I got to know Tina a few years ago when I attended a Seaside Retreat she held. She told me then that her goal was to achieve the Presidential Director Level. AND SHE DID IT! I am so proud to be a part of Tina's team. Here is the card that I made for Tina to send my Congrats! My sister recently celebrated her 26th wedding anniversary. Shame on me, I totally let the very important 25th Anniversary slip by last year. Well.... at least I wasn't the only one - my 2 other sisters forgot too! When you have three sisters it can be a little hard to keep up with when they all got married! So, we are making up for our forgetfulness by giving her a gift when we meet up for our annual MAD trip this week. Of course, being the cardmaker in the family I was assigned the task of creating a card. It's not too often that I get to make anniversary cards so I was excited for the change. I pulled out my Bliss paper pack and one of the stamps from the Art Philosophy collection. I cut out the coordinating Banner and Heart from the Art Philosophy cartridge and stamped with versa mark ink and then silver embossed the image. The mesh flower behind the heart is from the Bliss Level 2 Assortment (Z1355). The Bliss paper is now retired. So.... Happy Anniversary to Cindy & Randy! This card fits right in with the Friday Mashup Challenge (FM#28). The challenge is to create a project featuring snowflakes or create an Easel Card.... or both! I created a card featuring snowflakes. I picked up my issue of Paper & Crafts Holiday Cards & More special edition last Friday. I spent the weekend looking at all the inspiring cards - more than once! I have SEVERAL post its tabbed all through this issue of the cards that inspire me. Hopefully I'll get to try each one I've marked putting my CTMH spin on it. I had been cutting Snowflakes for an upcoming card workshop. When I saw this card I realized I already had the snowflakes cut out! I used the Art Philosophy Cricut Cartridge to cut the snowflakes. I pulled out the snowflakes leaving the 'opposite' for my card. I used Snowflakes (D1480) stamp and silver embossing for the border and "Winter Wonderland". My final touches are the sparkles in the center of the snowflake and a dot of Silver Glitz Glitter Gel (Z1482) around the snowflakes. I love this week's Mojo Monday sketch by Julee Tilman. I spotted it early this morning before I started my workday so I had time to ponder what I wanted to do. By the time I got home I immediately went to my Believe paper and pulled out the December 25th stamp set. I just love it when a plan comes together! And I think it came together nicely if I do say so myself! I decided to step away from traditional Christmas green and red and go with Sky blue using Holiday Red more for accent. I love this December 25th stamp! I remember when I was perusing the Idea Book for the 1st time at convention, this was one I spotted early on and immediately liked. I used the Art Philosophy cricut cartridge to cut an exact match for the Happy Holidays stamp. Also included in this set of 12 stamps are 2 tags. See the entire stamp HERE. I pulled out some old fiber that I had on hand to tie around the top of the card and added a bit of bling with sparkles. This will be my last challenge this week since I'm leaving Wednesday for my trip! But I've got several posts scheduled that include another Christmas Card, Congratulations, Anniversary Card and my cards from my upcoming Christmas Card workshop. So be sure to come back and visit! Here's a Holiday Cheer card using the sketch from Clean and Simple Stamping Challenge blog. Once again, I took the sketch and turned it.... this time upside down! It just seemed to work better for me. Since I've been in a Holiday card making mode I decided to use ornaments in place of the flowers. Hence, the reason I needed to turn the sketch around! I used the stamp Holiday Cheer (B1381). This 5x7 card was quick and easy. Just the way I like them! I used Black Hemp for the ornament string and actually used the Black marker to add the bow. And of course - the Art Philosophy cricut cartridge to cut out my banner for "Happy Holiday". Perfect cut for the stamp! Final touch - sparkles! 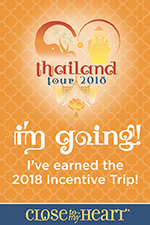 I'm hoping to get another challenge done before I leave Wednesday for my annual MAD trip. haha... don't worry - I'm not really going mad! My 3 sisters and my mom take an annual trip each October so MAD is for Mother And Daughters! :) But stay tuned! I've got a few posts already scheduled during my absence so be sure to check back! Why Choose Close To My Heart? 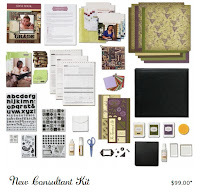 I believe that Close To My Heart has the BEST deal on starter kits for New Consultants. For a very low price of $99 you get a choice of two starter kits! Both of these kits are valued at over $280. You get everything you need to start your business! To make this deal even sweeter, in OCTOBER when you sign up as a CTMH Consultant, you can choose an ADD-ON Option for FREE! More on this option in a moment. But first, why should YOU become a Consultant with Close To My Heart? I became a CTMH consultant for TWO reasons. When I joined, it thought, I'd try it out for a year. I could always get out if it wasn't for me. (I had NEVER been a consultant for any type of home based business - so this was scary!) Today, more than 5 years later, I can list many reasons why I have STAYED a consultant. I could go on and on but you'll get tired of reading this post before I'm finished. But one thing that stands out more than any is FRIENDSHIP. I have made so many new friends and they are all priceless. I have met so many people that I would have otherwise never crossed paths with if not for Close To My Heart. Many are customers and many are sister consultants. I cherish each and every friendship I have made. So, what about you? We have many consultants that have joined CTMH for a variety of reasons. Maybe one of these fits you! Business Builder - You want to have your own business. You love meeting new people and helping others. You want to build a team and help others build their business too! You want to do more than just pay for your hobby! You want to add extra income to your household. Business Hobby - You love the discount and wouldn't mind a little extra cash. You might do an occasional party or workshop. Maybe you have a group of friends that would support you by forming a monthly club. With a regular club, it is easy to meet our low quarterly minimums of $300. You can even be your own Hostess and earn free products! Hobbyist - You don't intend to do parties or workshops. You just love the products and want it all! Getting a 22% discount would be a great way to support your addiction! Stay an active consultant with $300 in sales a quarter or become a Junior Consultant. If you don't meet your $300 quarterly minimum, just place a $100 a quarter and be a Junior Consultant. This gives you a 10% discount. Plus you will still have access to all the wonderful news and ideas through the Close To My Heart Corporate On-Line Business Office. There is a niche that fits all types of consultants and Close To My Heart loves all kinds! Not only do you get awesome kits to get you started, for those that want to have a business, we provide all kinds of training. We even have an on-line Training Academy where you can achieve a Bachelor or Masters degree and even a PH.d for Close To My Heart. Oh! And there is ME! I love helping others get started. I'm here to answer your questions, brain storm ideas and help you each step of your new exciting journey! So come on!!! What are you waiting for? Wait - what was that other ADD-ON option? Choose any of these 3! Can't decide? Choose one free and purchase the other 2 for just $40. I took a break from my Believe paper the other night to create this card using the colors from the ColourQ Challenge. My 'purple' is Lilac Mist and looks a little more blue in this picture than the color shown below. My sketch is from Mojo Monday. I think it was a great combination of challenges! 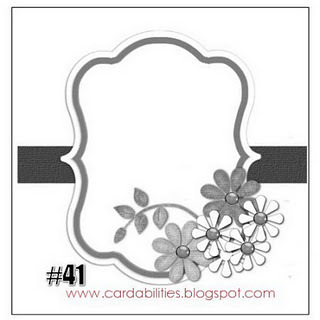 I created a 'background' on the Lilac Mist cardstock using the new Happy Clusters (C1471) stamp. You can see this stamp HERE. I used the star stamp and Lilac Mist ink. I used some of the smaller stamp and black ink to stamp on top of some of the Lilac Mist circles. Of course - I had to use the Art Philosophy cricut cartridge for the scallop edge and circle. I think the warm rich colors make this a great card for a guy's birthday. If you'd like to see more art with this stamp, watch this video from Close To My Heart. There is also a great demo on how to make a cool star flower with a border! Please click HERE to take you to that post. I added Silver Glitz Glitter Gel to the tree and silver embossed the "Joy" on the ornament. The tree, ornament, and the paper for the dimensional element were all cut with the Arts Philosophy Cricut Cartridge. This has to be the BEST cricut cartridge ever! I'm not just saying that because I sell it. I have other cartridges, but I have not had a cartridge that I pull out time after time. There is something for everything on this cartridge! 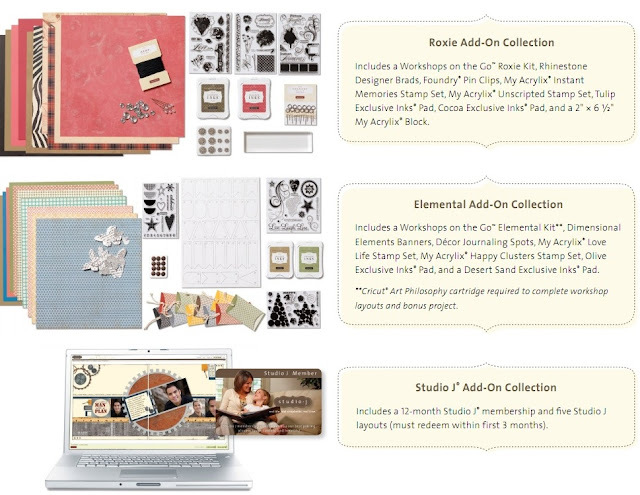 The cartridge, 3 D-Size stamps and 3 sets of Dimensional Elements are just $99. See the entire collection HERE.